Filmed using a combination of mixed rig and handheld cameras, this is the reality of policing on the front line. From the cell block to the police chief, this series shows a modern police station as never seen before. Combining the drama of cops and robbers in the real world with the humanity and humour of 24 Hours in A&E, we watch the police fighting against the clock to catch out criminals and make the streets safe. The first episode opens with the dawn arrest of a man on suspicion of conspiracy to murder. The film documents the work of the lead detectives as they investigate and interview the suspect. Two teenage girls are arrested after a fight breaks out in a nightclub and the police also arrest a 61-year-old man who has never spent a night in the cells before. 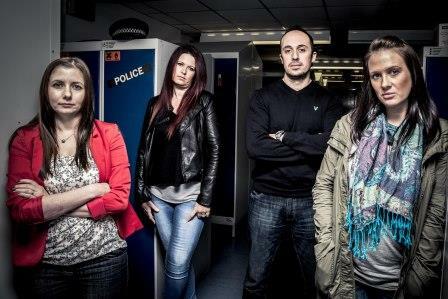 This episode follows the team of four detectives working full-time on child abuse cases in the dedicated Safeguarding Investigation Unit at Luton Police Station. This episode follows cases where alcohol and relationship tensions mix in a dangerous cocktail. Investigating Officer Lisa Hutchinson says nine out of ten cases can be domestic violence. This episode follows an investigation into human trafficking. DC Tom Stean says that human trafficking is getting worse and worse, and he believes the town of Luton is a magnet. 24 Hours in Police Custody airs 8.40pm Wednesdays on SBS.